Another one in rotation is Michelle Branch’s Breathe. It’s perfect for a real life musical, it just slips off the tongue. “If I just breaaatthhheee, let it fill the space between...” It’s a fun song. Yesterday night I noticed that I was gaining a lot of followers on twitter, and lots of hits on my blog. I checked my site meter to see where they were coming from. Twitter, twitter, twitter, and then twitter.com/michellebranch. Michelle Branch? Seriously? I thought I was mistaken, it was Michelle B. Ranch or something. Then I clicked on the link, Michelle Branch had tweeted about me. She said my blog was one of her favorites. Um, what? That’s crazy. Although it’s great to hear a famous person likes my blog, I have to say I appreciate every comment, tweet, and email I receive from you guys, famous or not. That’s part of the reason I love doing this, knowing someone out there enjoys it. So thank you for stopping by. In celebration of life’s unexpected joys I bring you Pumpkin Cupcakes. These are really lovely, fluffy and light. I’m not crazy about the frosting though, the consistency didn’t seem right. You might want to experiment with something else. I topped mine with maple sugar that Brien Maple Syrup sent me a while back, but pumpkin spice would probably do the trick. 1. Preheat the oven to 350° (175°C). Line a cupcake pan with 18 liners. 2. 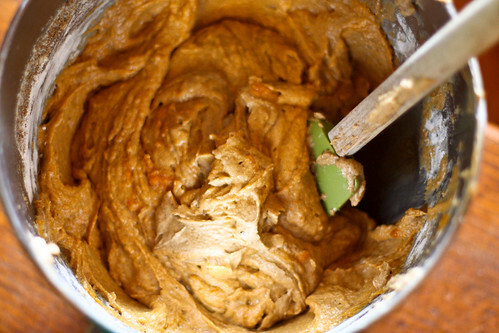 In a stand mixer, beat the butter and sugars on medium speed until fluffy, about 5 minutes. Meanwhile, sift the flour, baking powder, baking soda, cinnamon, ginger, nutmeg, cloves, salt, and pepper into a medium bowl. 3. Add the eggs 1 at a time to the mixer, scraping down the sides after each addition. Alternate adding the flour and milk mixtures, beginning and ending with the flour. Beat in the pumpkin until smooth. Scoop the batter among the cupcake liners — you’re looking to get them 3/4 full. Rap the filled pans once on the counter to release any air bubbles. Bake the cakes until a toothpick inserted into the center comes out clean, about 20 to 25 minutes. Cool the cupcakes on racks completely. In a stand mixer beat all the ingredients on medium until fluffy. I made a half batch of these last week - they were gone much too quickly. So good, and seriously sad I didn't make a full batch. Kudos on the Michelle Branch thing though - that's too funny! These are so pretty and I love the sprinkling of maple sugar on top. Great photos too. I'm so glad I found you on tastespotting! Aww these are lovely looking pumpkin cupcakes! These look great! 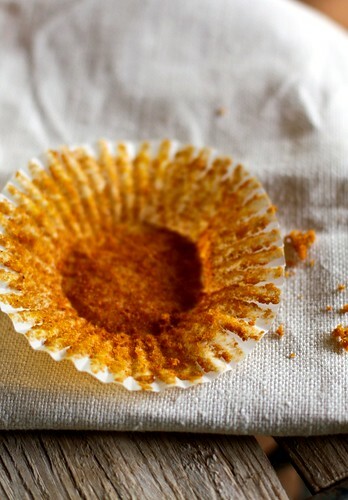 I've been hunting for a good pumpkin cupcake recipe for a batch of Halloween cupcakes I'm planning, I think I'll use this recipe - thanks for sharing! Yum! I've been craving pumpkin ANYTHING since the onset of fall. Your last photo says it all! yum! 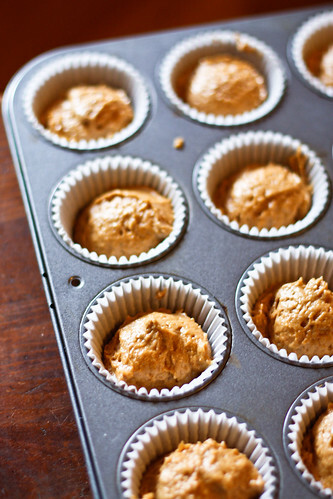 i love fall- mainly because that's the start of baking pumpkin muffins for weeks straight, but these cupcakes look delish and i think i gotta make these soon!! These look absolutely yummilicious! And guess what I have a can of pumpkin sitting in my cupboard. Woowee ...!! Gorgeous recipe and photograph! Well done! These cakes speak of autumn! So beautiful! Also, you would so fit in with my office, where my coworker and I sing random songs all day long. It's good most people can't see us, I swear, ha! omg! that is wonderful! i am just waiting until you get famous. your blog is so special and gorgeous! Pumpkins + Autumn are my favorite things ever, so I give this post two thumbs up! Beautiful. Pumpkin and cream cheese a marriage that was built to last. Congrats on your famous following! That is pretty exciting! By the way, as a native Floridian, I'm happy you gave Florida a try and ended up liking it. Where did your family vacation? Fabulous! Those autumnal cupcakes look so pretty and tempting! You make my heart glow! Thank you! I made these very cupcakes this weekend!! yum. yum. yum.I think I'll be making some more this next weekend... they're already gone! I adore the notion of your family breaking into song at every whim---never a dull moment, I'm sure. This recipe is also lovely and perfect for my insatiable pumpkin cravings that spring forth every autumn. Those Pumpkin Cupcakes look yummy! I wish I had one of those right now! Love the maple cream cheese frosting, yum. Amazing cupcakes, and beautiful pictures (as always)! Glad you posted them... I think I might have to make some this weekend! Thanks everyone, I hope you enjoy them! Lisa: I’ve printed out the recipe for the pumpkin swirl brownies, I hope to try them soon! thanks for the tip! Ulla! Thank you, you’re so sweet. Alisa Beth: We stayed in Fort Walton Beach. It was lovely. Jacqui! I’m glad someone else loves old crow! A-These look amazing. I love anything pumpkin and maple-what a divine combination! Those look so yummy and good! I'd love to be peeling back one of those cupcake liners and taking a big bite! That is WAAAAAY cool to have her tweet about your awesome blog though I'm not a bit surprised Hannah! Stop wasting your time, do something productive, get a life. Ultimate Silly Man, you get a life and stop wasting time writing rude comments! Hannah, your site is amazing and we all love you! Looks like USM should take his own advice. Keep up the amazingly beautiful, aritistic and inspiring work, Hannah! Your readers love you. Silly Man, your comment on reflects poorly on you. Silly Man, She has Michelle Branch following and tweeting about her blog. Clearly she has a life. love the look of these...and who doesn't want to try something with pumpkin at this time of the year. your photos make it all look so delish. i follow your moms blog and so i have found yours. Passing some blog love your way. Stop by my blog to see what I mean. mmmm... its feeling like fall. I love it. How exciting to be mentioned by a famous person! Congrats! These cupcakes looks so good. What a great idea to sprinkle them with maple sugar! congratulations! you are a very popular girl and your family sounds great. can i join the family and have one of these fabulous cupcakes??? matt: a pumpkin shortage?! how can this be!? amanda: OCMS and Gillian Welch together! I’m so jealous. Erica: That frosting sounds fantastic. what if you added egg whites and whipped them into the frosting?? the cupcakes themselves are absolutely delicious!!! i agree, the frosting does not work. it tastes good but is far too runny. i tried adding an egg white, as well as extra powdered sugar and even a little flour, but it did not work. delightful hannah! and congrats on the twitter and blog hits, amazing! hannah! you are going to be a fmaous baker blogger! Congrats on your celeb connection, that's really exciting! I've been baking with pumpkin a lot lately too... your cupcakes look delish! these are awesome. I made them this morning and had to make another batch this afternoon! Excellent!! I am wondering if you have any recipes for using pumpkin from a carved pumpkin. I've never tried any but we got pumpkins to carve this year, and I know we want to roast the seeds and use something with the pulp. Just wondering if you have any ideas. Wow these look amazing, I think I will have to try them! I just finished putting up a bunch of pumpkin puree, so perfect timing. 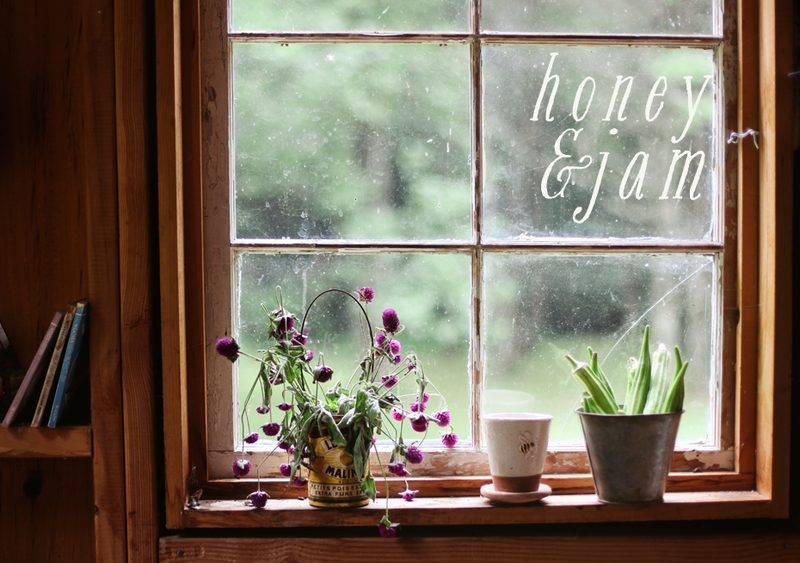 Love your blog and your etsy shop! Family of 4 - I don't have any recipes currently, but if I do, I'll let you know! Sarah - thank you so much! Hi, Hannah! Today I Stumbled on your page and I'm so glad. The pumpkin cupcakes look and sound wonderful! I think I have the perfect frosting for you to complement them. It's called Penuche and it is a cooked brown sugar confection. I say "confection" because if you go overboard, you will actually make Penuche candy! 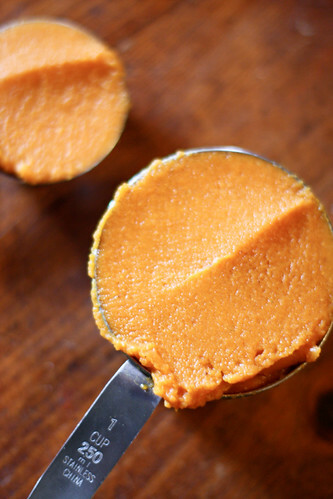 It tastes a lot like Dulce de Leche but is much, much easier! 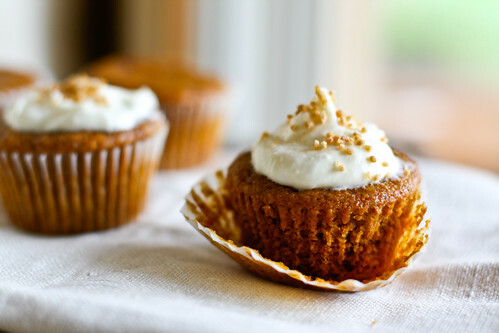 The warm brown sugar flavor complements the spicy pumpkin without overpowering it. I'm going to make a batch of your cupcakes with it! Cook brown sugar, half & half, butter and salt in 2-quart double boiler or thick saucepan over medium heat until mixture comes to a full boil (6 to 8 minutes). Cool slightly (15 to 20 minutes). Stir in powdered sugar and vanilla; beat until smooth. I hope you like it! Let us know if you try it. I made these yesterday and they are absolutely perfect! Too late I noticed I had purchased Pumpkin pie filling instead of straight pumpkin but used it anyway. Mine appear lighter than yours but are still fluffy and delicious. For the frosting, I only had a half cup of confectioners sugar left in the house so instead of getting more, I added a cup and a half of the pumpkin pie filling along with some brown sugar. I probably got more complements on the frosting then the actual cupcake! Ooooh! I am going to have to try these! They look so yummy! Made these last night, they were AMAZING. I don't bake and these were sooo simple. Trying to save some for a party saturday. If I made a double batch would I have to adjust anything? wyndale: that frosting looks great! i'm glad y'all are liking them! The song is 'Wagon Wheel' by Old Crow Medicine Show, not 'Down South.' Great song and great looking cupcakes!! I made this recipe into a cake instead of cupcakes (it works better in our home). I was told I could make this anytime I wish. It is a winner! You've wooed me with your cupcakes. They looked so good I had to make them last night. The lighting at my place sucked so the photos didn't turn out nice as yours but they are really tasty! Consider me a devoted follower from now on. My boyfriend made these last night. Sooooo amazing! I made some inspired from your recipe! I love Michelle's song "breathe", I love your cupcakes and I love your blog ! Came across your blog through stumbleupon.com saw these cupcakes and thought they looked good. Last night i was craving something sweet and feeling adventurous, i remembered these cupcakes and decided to make them. They were amazing! My family and i finished off the whole batch in one night and made another batch today. Definitely one of our new favorite cupcakes. Thanks for sharing! These are actually﻿ very very moist cupcakes despite what you might think. They looks so delicious and tasty I'm already book mark this recipe and I'll try to make them when i have some free time. Great job. Your blog is so interesting, it gives me a lot of fun and useful information. You have a very useful site specially for bakers, wonderful work! Thanks. The word pumpkin originates from the word pepon, which is Greek for “large melon". I already got what I needed, without telling lies, I have more than 2 hours of looking for any information like this. In my college work needed to review articles online, I really thank you very much to the writers. I am currently searching for ways in which I could enhance my knowledge in this said topic you have posted here. It does help me a lot knowing that you have shared this information here freely. Significantly helpful information. Awesome site.. continue to keep writing like that!! precisely how amazing can be that will! often i am unable to pass over principle get smaller issues. this can be wonderful! Really nice information, it was really enjoyable! I like the helpful info you provide in your articles. I collect some good points here. These cupcakes were wonderful! looks yummy, Thanks for the recipe. I always enjoy reading such posts which provide knowledge based information like this blog. Thanks for sharing it with us. this recipe was awesome! so delicious and delightful for the first cold weekend of fall. my only feedback was i made the frosting with the listed ingredients and had so much left over that i was able to make another batch of cupcakes. i would recommend cutting the ingredients in half if you are only baking one batch of cupcakes. i also topped the cupcakes with crushed pecans, which added some texture and some interest. i will definitely make this recipe for many falls to come - my family and i loved them!! thank you! I really enjoyed reading your post, Thanks a lot. selling import and export goods on ebay and amazon, its been absolutely a blast to raise my kids and earn on the side. thanks for the recipe. Great story!Lucky you! 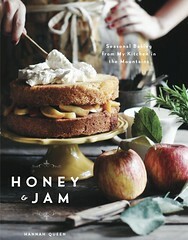 Love the recipe and the photography is awesome! I am starving now. Just found your blog, definitely a great recipe! If you cut down the maple syrup to an 1/8 of a cup the icing is perfect. I might cream the butter and sugar together first next time. I made this last night, and the family was delighted, my cooking is getting better, with more practice, and great kitchen articles like yours, I am on my way to chef stardom! This is really good! I am thinking right now to try this. Thanks for the wonderful article! The recipe looks easy and I think they really look delicious! This just perfect for all kinds of occasions. Just look at those cupcakes! They look so tempting! I can hear them tell me to eat them but sad thing that I can't. These look soOOOO incredibly delicious! I am going to make these for Thanksgiving. I might even add a filling if I'm feeling ambitious! :) Thanks! I would first like to thank the writers of this blog by sharing information. Well this post certainly reminds me of the time when I worked as a baker. It was a great job but the pay was not enough for my mortgage. Now I am working from home selling import export goods online, mostly digital items and gifts for this upcoming Christmas. My profits have been looking great and I was able to pay off my mortgage also. Everyone can do this, work from home and earn big profits online. The question is HOW and WHERE to find info. 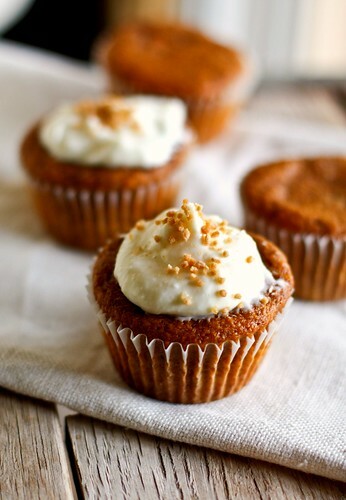 I've been looking for a really good yummy Pumpkin Cupcake and I think I found it!!! As I'm typing this, I got a batch in the oven right now! I followed this recipe exactly.....so I hope they come out yummy as they look in the picture!! I'll be back and post and let you know how they came out!! But I can tell you that the batter........ohhhhhh my gosh is soooooo delish!! I can taste the ymmmy fall seasonings....really excited!! I tried this recipe and it was delicious. Thanks for sharing. The information mentioned in the article are some of the best available. Como de costumbre, estoy buscando alguna información útil, inmediatamente me encontré con este post y ganar un poco de trabajo de información muy útil como un gran cerebro para su uso. wow, there is nothing better than fresh pumpkin and creams, thanks for posting the recipe and amazing pictures. Very interesting stuff you have posted here. Keep sharing more informative stuff like that. Brilliant share! That’s great resource you have here. It is very interesting for me and I enjoyed read this stuff. I think finally you have enjoyed there. If you want to make you free website I think you need free flash templates . Free flash intos is one of the best free flash effects that you need. Este es realmente mi primera vez aquí, el blog de gran apariencia. Descubrí tantas cosas interesantes dentro de tu blog en especial su discusión. Pumpkin Cupcakes are moist and flavorful with pumpkin puree and ground cinnamon, ginger, and cloves frosted with a tangy cream cheese frosting. I will definitely share it with my other friends. Keep up the good work, I would to stay in contact with your posts. I think, this theme is quite actual now. Although it’s great to hear a famous person likes my blog, I have to say I appreciate every comment, tweet, and email I receive from you guys, famous or not. That’s part of the reason I love doing this, knowing someone out there enjoys it. So thank you for stopping by. Has read all in detail, excellent blog! Although it’s great to hear a famous person likes my blog, I have to say I appreciate every comment, tweet, and email I receive from you guys, famous or not. That’s part of the reason I love doing this, knowing someone out there enjoys it. So thank you for stopping by. I love pumpkin and cupcakes. Thanks for the wonderful recipe. Your photographs are just effortless. I don't really like sweet food that much, but this one makes my mouth watery. wow these Pumpkin Cupcakes with Maple Cream Cheese Frosting and Michelle Branch pics make me dream of them lol. I will try to make this recipe or ask my mom lol. Thanks for the insight!! There are some cool generic Viagra reviews fyi. Does this not have milk in it? This is really a mouth watering cheesecake. These Pumpkin Cupcakes with Maple Cream Cheese Frosting and Michelle Branch are just amazing my mom made some the other day! Thanks for the post. Also if you have a moment please rate just one of my generic Levitra reviews here, thanks a ton! Wonderful blog! I definitely love how it is straightforward on my eyes and also the details are properly written.